Phone apps have seriously changed the world we live in. From connecting with friends, to ordering dinner, to shopping online, to taking better photos, to tracking flights, to wasting time… there’s an app for pretty much any situation you’re ever likely to encounter. But how do you know which apps are worth your time, and which ones you should steer clear of? Well, when it comes to health and fitness apps at least, I can help you out. I’ve downloaded and used a bunch of them in my time – both paid and free – and today I’m showcasing the six that are on highest rotation on my phone…. Kate Kendall is kind of a big deal in the yoga world… so much so that even I (one of the un-yogiest people in Sydney) know exactly who she is and admire her from afar – in a completely above-board and non-creepy way. The co-founder and Director of Yoga at Flow Athletic in Sydney’s Paddington, Kate’s approach to yoga is inspirational but still accessible – she’s hosted a couple of events I’ve been to and has a knack for making even total novices like me (I struggle to touch my toes and my downward dog looks kind of like a basset hound having a fit) feel really comfortable. And – lucky us – today she’s taken time out to share her thoughts on how to add yoga into a fitness routine…. Exercise doesn’t have to be expensive. 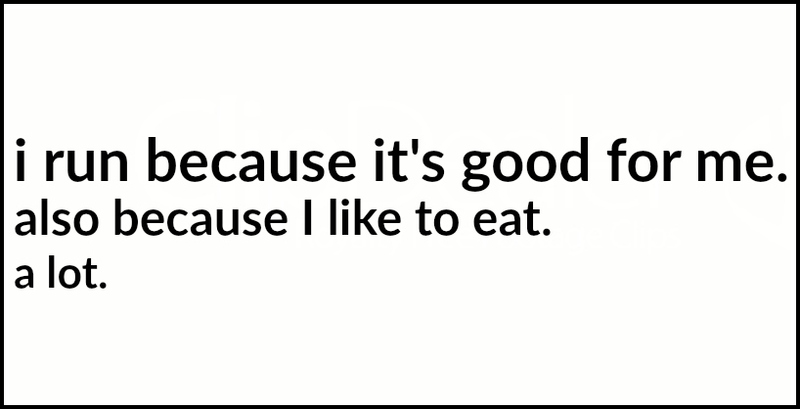 It doesn’t have to mean gym memberships and personal trainers or fancy home gyms. What it does require is a little imagination. If you open your eyes to the world around you, you’ll see myriad opportunities to take advantage of your surroundings. It might be the playground at your child’s school, the park down the end of your street or the stairs to your apartment block. Or – as was the case during my trip home over Christmas – it could be the boat ramp and rowing club in town…. Unless you’ve been living under a really boring rock, you’ll know that the very excellent, very simple and very F-U-N #LGF10aDay Challenge kicked off last week. The concept is pretty simple – 10 minutes a day, every day, throughout December. It’s your (completely free) ticket to a healthy silly season. 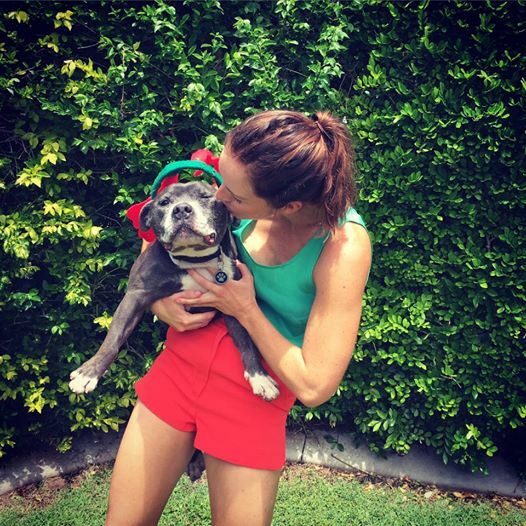 I’ve put together a workout for every day of the month (yep, including Christmas Day). 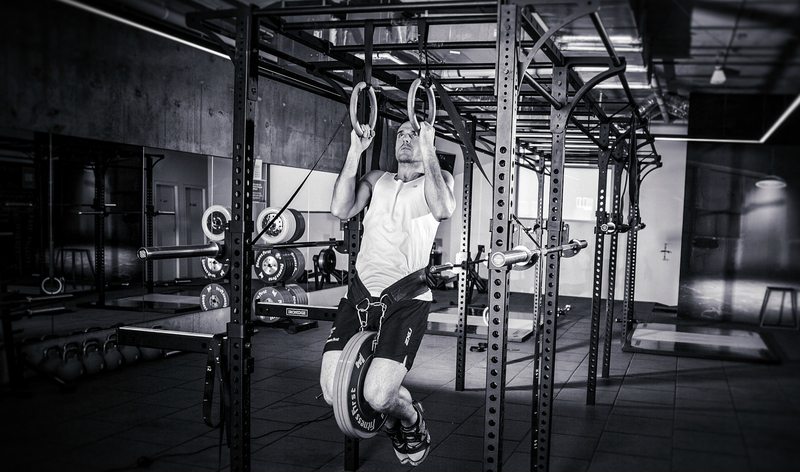 All bodyweight exercises, all simple enough to do in your own home or backyard…. 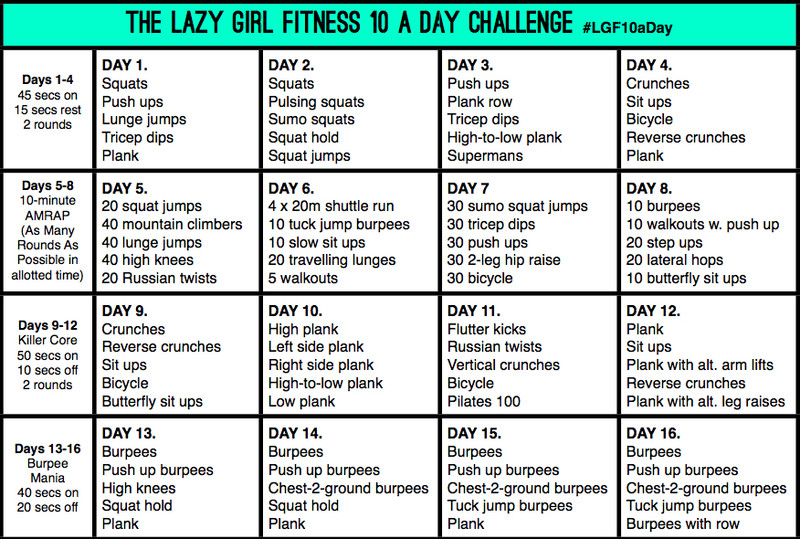 It’s happening Team – the Lazy Girl Fitness 10 a Day Challenge starts tomorrow! 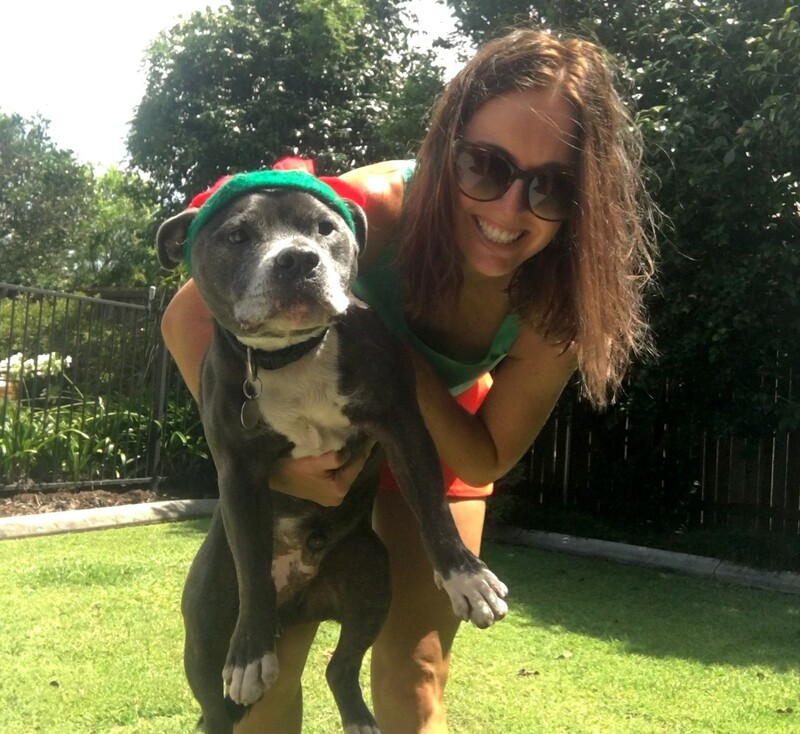 In case you missed my last post, the 10 a Day Challenge is all about committing to a 10-minute workout every day for the month of December – a time when Christmas parties and good times occasionally (ok, often) get in the way of good physical and mental health…. I think I’ve re-discovered my love of running. It’s been coming in waves over the past few months, but I can finally honestly say that I’m enjoying it again. My love of burpees is well documented. Some would go so far as to say that it’s borderline unhealthy, but I find it’s best not to listen to those people – #hatersgonnahate and all that…. Last Saturday was a bit of a manic day for me. Priorities were pretty much: Lou-walk, spray tan, inordinate amount of washing, pedicure then mad dash to a wedding (spectacular wedding by the way, but that’s a story for another day). Anyway, I knew I wouldn’t have time for a proper workout, but I also knew that I really needed to do something. Situations like this are tough, and the easy way out is just to skip your workout altogether. But we all know that the easy way usually isn’t the best way, right? Right.